Can your child name some common freshwater fish? Find out with this worksheet! Use clues to fill in the boxes in this crossword puzzle, and learn more about fish along the way. Search this puzzle for onomatopoeias of animal sounds in other languages! How do they compare to the onomatopoeias you know? Learn the names of some extinct animals, and look for them in this fun wordsearch puzzle. 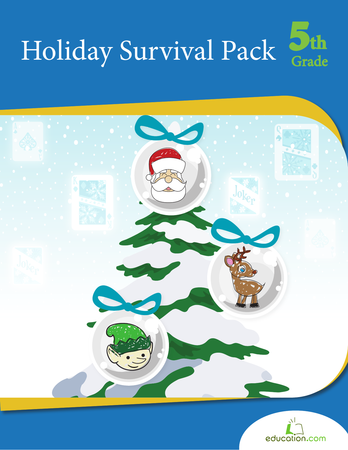 Bring good tidings and cheer all winter with a winter break fun pack! Complete with a deck of playing cards, puzzles, drawing prompts and more, this mash up of brainteasers will keep boredom at bay.